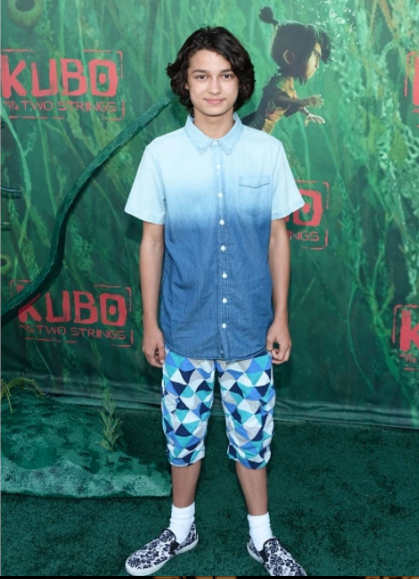 Article: Rio Mangini Looked So Awesome At The “Kubo And The Two Strings” Premiere! It was another fun and spectacular day today for the incredible Rio Mangini. The wonderful and immensely talented Rio Mangini looked so amazing as he attended the Kubo And The Two Strings premiere today, August 14, 2016 at the AMC Universal City Walk in Universal City, California. Rio Mangini had a blast at the event with his cousin and caught up with his great friends including Asia Monet Ray. The phenomenal Rio Mangini was even spotted on the jumbo-tron at the premiere. He shared the excellent photo as seen below through his Instagram account. Check out more photos below of the remarkable Rio Mangini at the Kubo And The Two Strings movie premiere! I’m glad Rio Mangini had an outstanding time at the event. Previous Article: Lilimar And Brady Reiter Looked So Flawless At The Steph Audino LA Launch Party! Next Article: Asia Monet Ray Looked So Stunning At The “Kubo And The Two Strings” Premiere!